The Yeti Speaks! 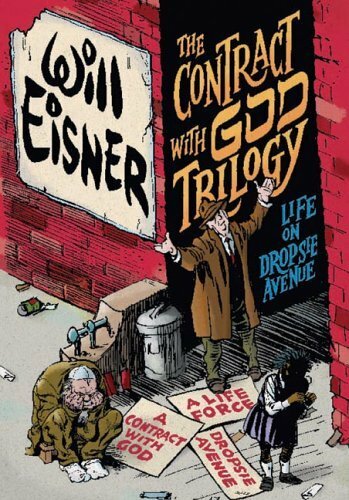 : Will Eisner's "The Contract With God Trilogy"
I'm slowly checking off items from my list of "graphic novels I'm ashamed to not have read yet", and my latest mark is from Will Eisner, the creator of the very term "graphic novel" and the book for which it was coined, A Contract With God. 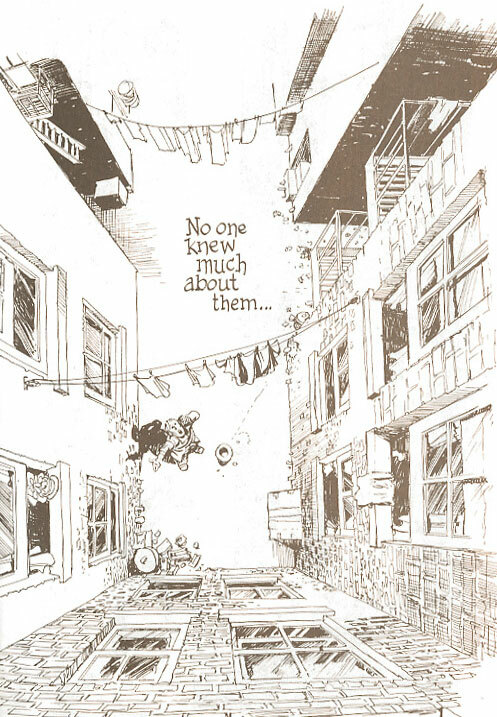 A hardcover collection of all the loosely connected stories that center around life on Dropsie Avenue came out a few years ago, just after Eisner's death; he had written a new introduction and produced several new pieces of art for the collection. Needless to say, the collection lives up to the significant amount of praise it has gotten over the years; I expected it to be a seminal piece and that's exactly what it was. After all, Eisner is thought of as one of the great storytellers of the medium, and A Contract With God might be his most highly acclaimed and recognizable work (although The Spirit certainly has its share of fans). I was surprised, though, that the Contract With God story was as short as it was; as popular as it is, and the fact that the collection takes its name from this entry, led me to believe that it would take up a significant portion of the book. This doesn't detract away from the emotional impact of it, though, and it was all the more touching and tragic after reading about its real-life corollaries (Eisner, like the main character of the story, lost a daughter). 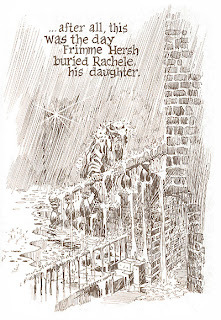 This entry comes off much like a morality play or one of Aesop's fables...just without the animal intermediaries. It hits on all the right notes. The rest of the book, which doesn't get nearly as much attention, is just as brilliant, if in different ways. 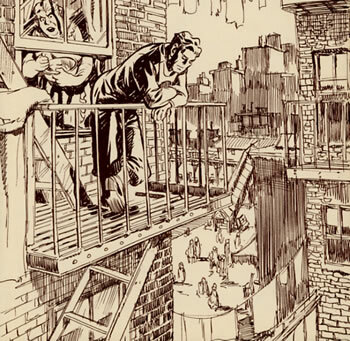 A Life Force and Dropsie Avenue cover some brutally honest material as Eisner creates a 100-year timeline for the fictitious neighborhood in the Bronx, from settlement in the 1870s, to the Great Depression, to wars and civil unrest. 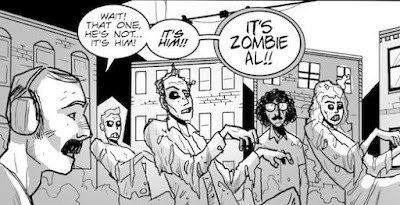 As readers, we see time and characters move quickly by as history (frustratingly in many cases) repeats itself over and over again. It's stark social commentary that we will, hopefully, learn from someday. Quite obviously, this book is a worthwhile read. It holds up and is as relevant now as it was when it was published, and its contents give us a perspective into life in the early-to-mid-20th century that few can duplicate. It's poignant, funny, painful and above all true to itself. It's time this blog went to work for me. Learn to draw the Thing! RIGHT NOW!